One of my most favourite things in this profession is getting to see the fruits of labour. It's not uncommon for clients to experience results before their appointment is even complete (as with congestion, for example). Others notice changes beginning in the days or weeks to follow. While doing a house call, I met two young sons of a Michigan Medical Doctor. These boys had severe reactions to their pony. Since we were working with just once substance, their appointments only took about 20 minutes each. 2-3 hours later, the boys visited a local petting zoo who had - you guessed it - ponies. And the results were in! "I am a mother of four and avid horse lover as are my children. The oldest two boys have had fairly severe allergic reaction to the horses which limits their ability to go riding, brush them etc. 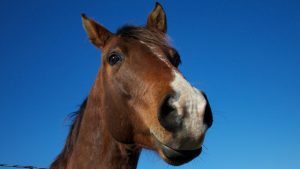 Within minutes of being by the horses they develop red blotchy patches on their face, hives and difficulty breathing. We brought some of their ponies hair with us for the treatment. Within 2 to 3 hours of the treatment, the boys were at the petting zoo and of course visiting /petting the horses. To our astonishment, they did not have the same allergic reaction or any reaction at all! It was truly amazing. I appreciate the service Jocelyne offers, life-changing for many clients including us." If you have any allergies Contact Us and give Bioenergetics a try.